Responsive and super-stylish Freedom is a simple and clean WordPress blogging theme. Designed by ThemeGrill, it features minimal aspect when it comes to the layout. Easily customizable you can change the whole look and feel of the site using the custom background, menu, header and widget options. 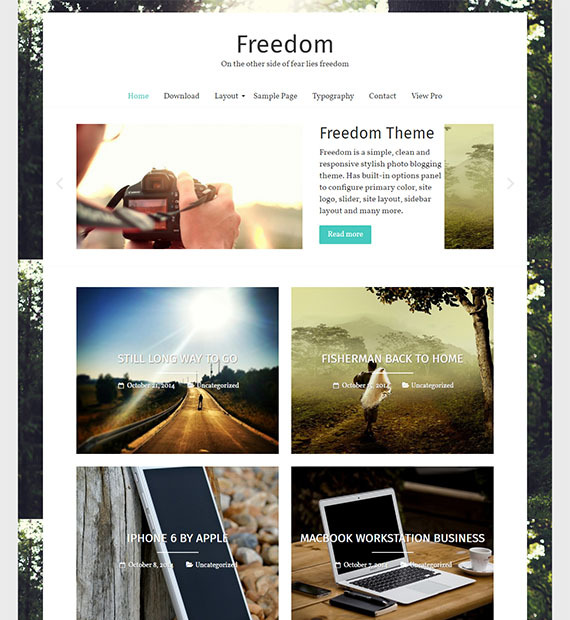 Great for personal, travel, food, portfolio or any type of blogging site you own, Freedom is a multipurpose and responsive theme. Content-focused layouts grabs all the attention towards your work you post making this the perfect blogging theme.